I'm a sucker for anything personalised and I had come across itsyourstory before when hunting for first birthday gifts (I know, a bit premature) and thought their range was fab! itsyourstory launched in 2004 with just three books and now their range has expanded to 26 books PLUS cards, party invites, e-books, e-cards & photo-personalised Father Christmas letters! 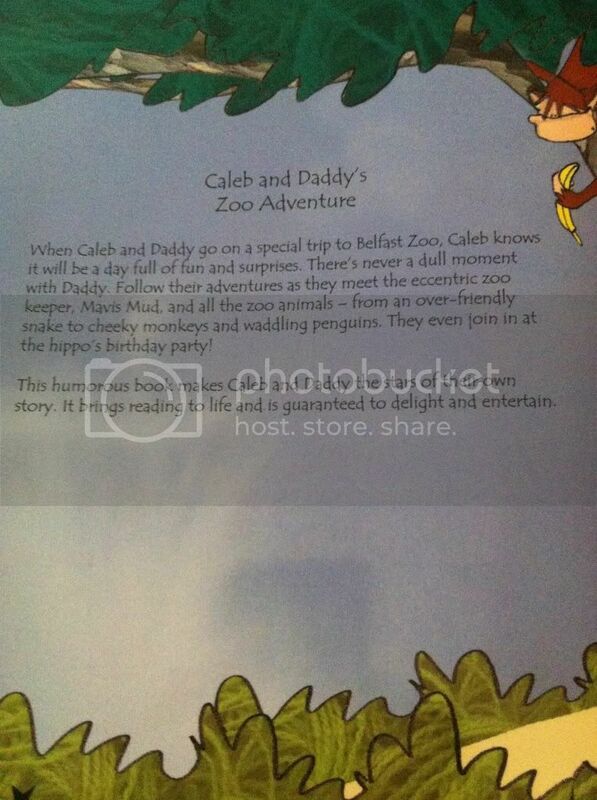 They were looking for people to review their adult & child's Zoo Adventure personalised book for Father's Day so I hopped on board. It was really easy to create. You just state the size of book you want (small, medium or large), upload your photo of daddy's face and answer a few personalised questions such as their names and address, their favourite foods & daddy's age and colour. It arrived really promptly and I fell in love with it as soon as I looked at the cover! 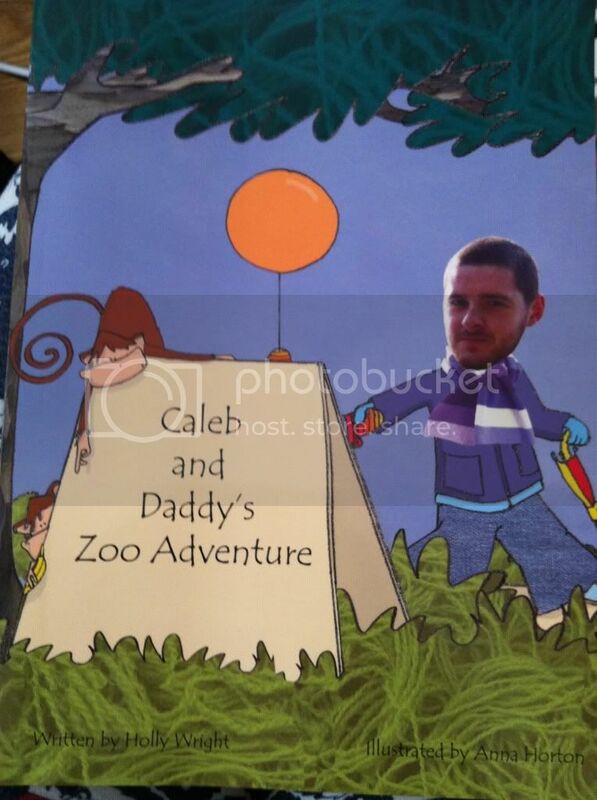 C and daddy go around the zoo visiting all the different animals. My favourite thing about this book is that it's so interactive. 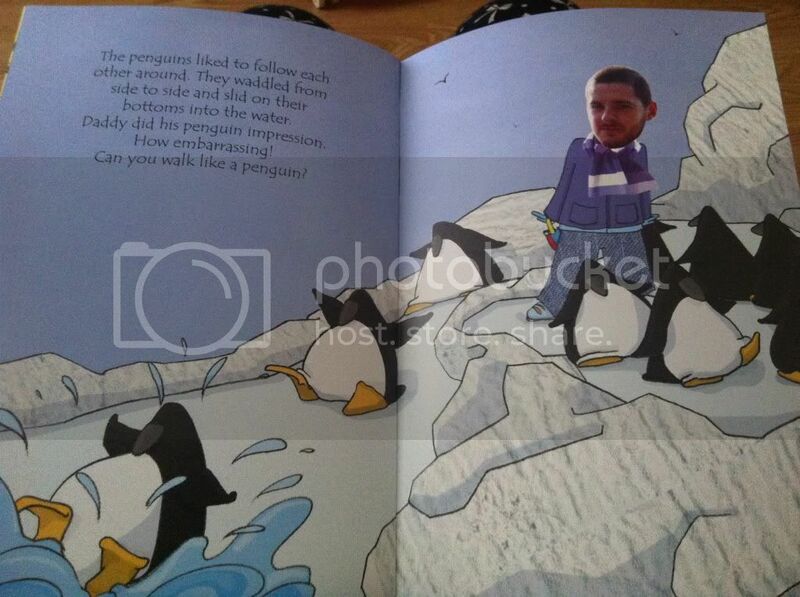 Yes, you've got the photo of daddy and personalisation but it engages with the child with questions such as "Can you walk like a penguin?" 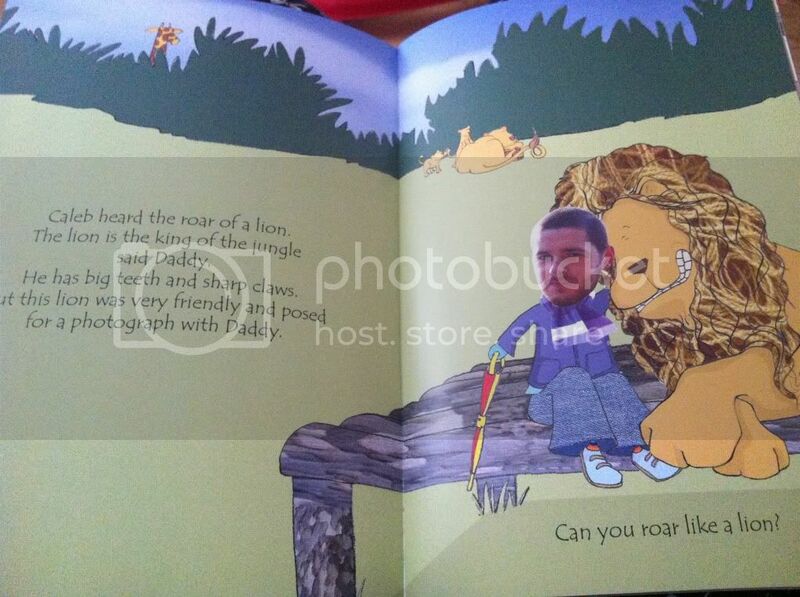 and "Can you roar like a lion?" The illustrations are absolutely beautiful as you can see from my photos below. 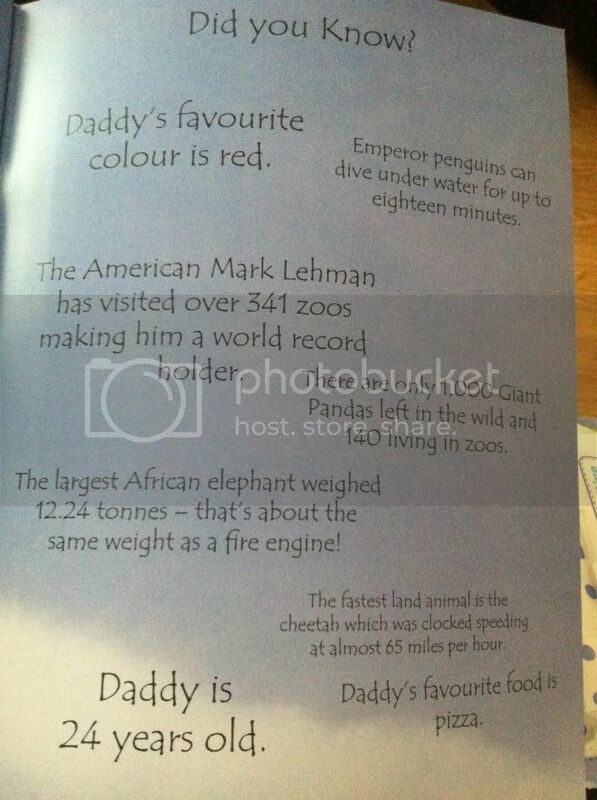 The back page is filled with facts about zoos/animals and daddy! It was such a brilliant idea for a book and a great gift idea for Father's Day with prices ranging from £12.50 to £22.50. I will definitely be purchasing from itsyourstory in the future! You can find itsyourstory on their website, Facebook and Twitter! (Disclaimer: I received this book free of charge in exchange for an open and honest review. All opinions are my own and I have not been compensated in any way). 1 comment on "Itsyourstory book review"
We have that book!! But with my husband in it, he he. The kids think it's hilarious! !